Lorenzo Serafini, who helms the ship at Philosophy, has teamed up with Italian shoemaker Superga on a limited-edition line of sneakers featuring bold logo lettering and grand details. Oversize faux pearls and a print you’ll recognize from the Philosophy runway are included in the offering, but most of the styles are solid colors in suede or canvas. 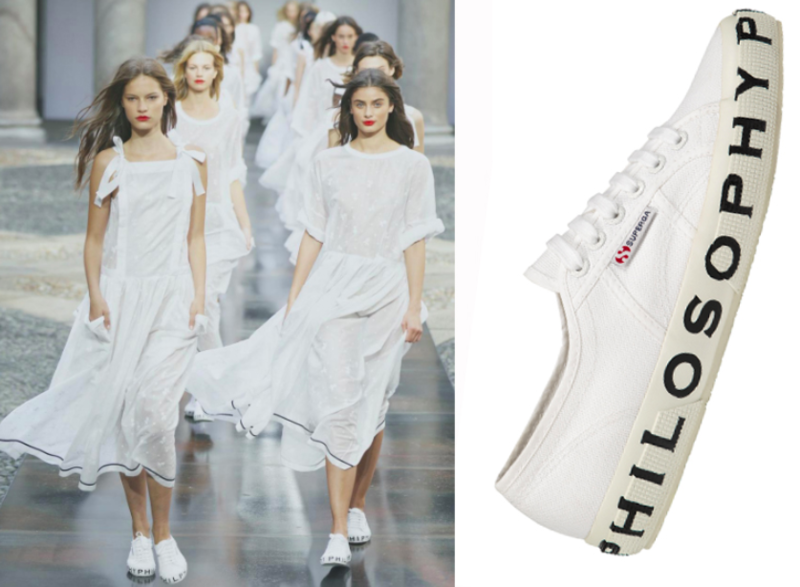 If Serafini were to scribble anything on the white pair, Serafini suggests it would be “take it easy,” adding “Superga has always represented Italian ease.” He recommends wearing the sneakers with anything from a long floating dress to jeans.